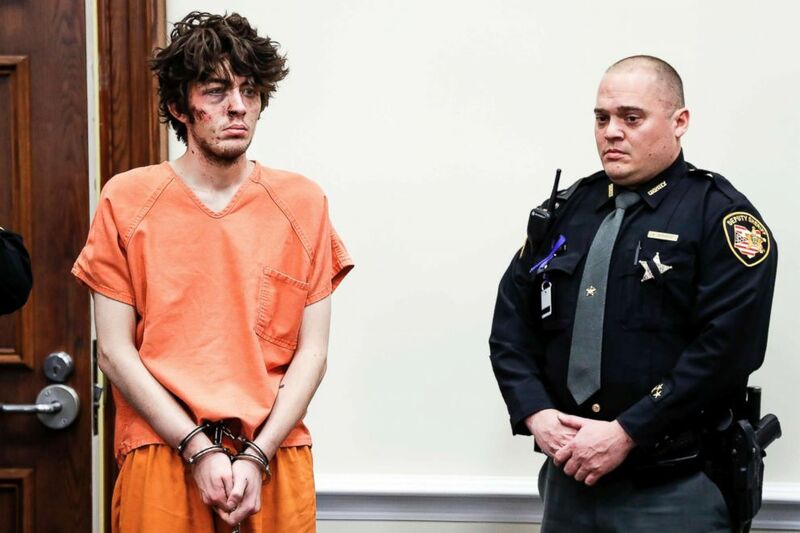 Suspect Wade Edward Winn, left, appears before Judge Kevin T. Miles at Clermont County Municipal Court in Batavia, Ohio, Feb. 4, 2019. Wade Edward Winn is pictured in this undated photo released by Clermont County Sheriff's Department. Brewer, a 20-year veteran of the department, leaves behind a wife and 5-year-old son, the sheriff's office said. DeRose, who has been on the job for 22 years, has since been released from the hospital, the sheriff's office said. 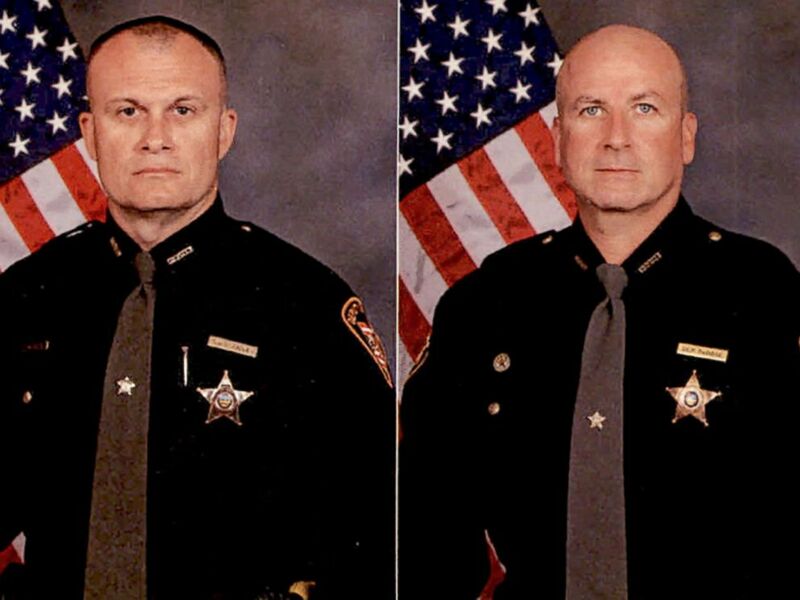 Detective Bill Brewer (left) and Lt. Nick De Rose are pictured in this undated photo released by Clermont County Sheriff's Department. 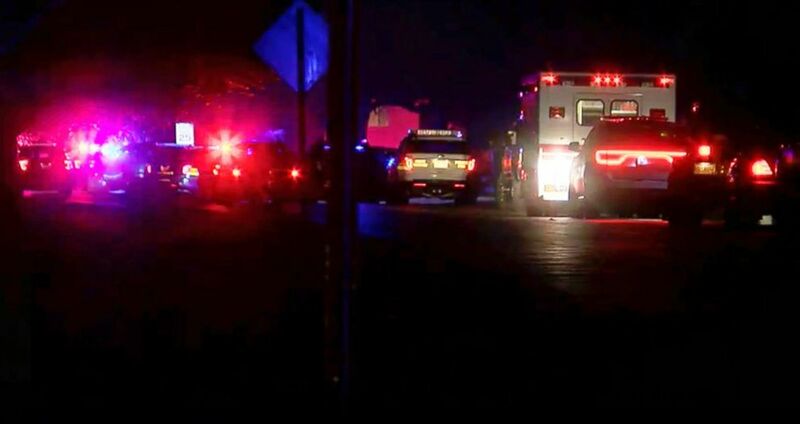 After Brewer and DeRose were shot, a lengthy standoff unfolded, the sheriff's office said. Officers "endured a barrage of gunfire" from the suspect before they took Winn into custody Sunday morning, the sheriff's office said. 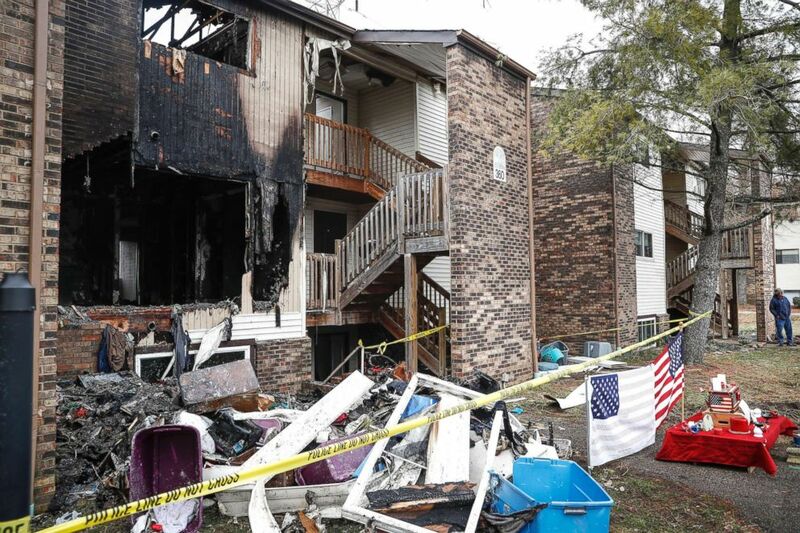 Police tape surrounds an apartment damaged by fire involved in a shooting incident that resulted in the death of a Clermont County Sheriff's Office Deputy, Feb. 4, 2019, in Pierce Township, Ohio. 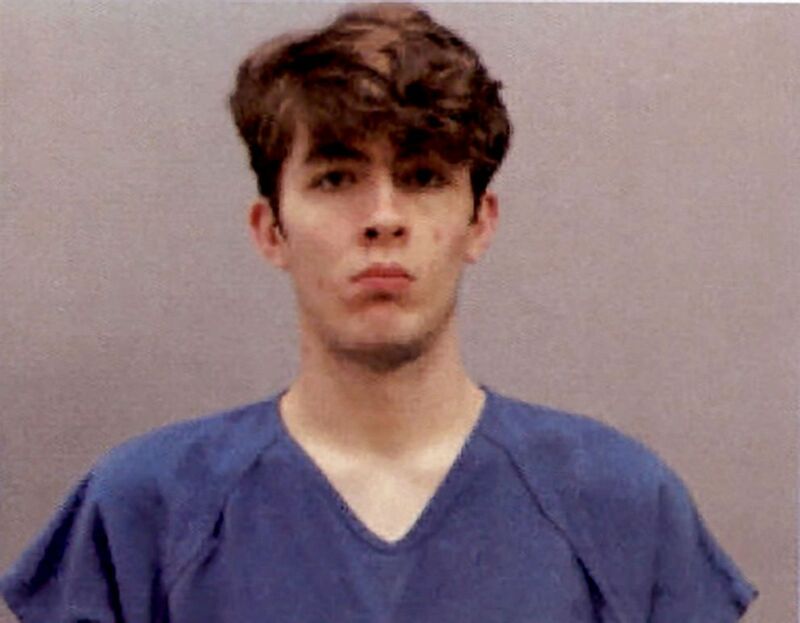 Winn was charged with aggravated murder and attempted aggravated murder, according to David O'Neil, a spokesman for the Ohio Attorney General's Office. 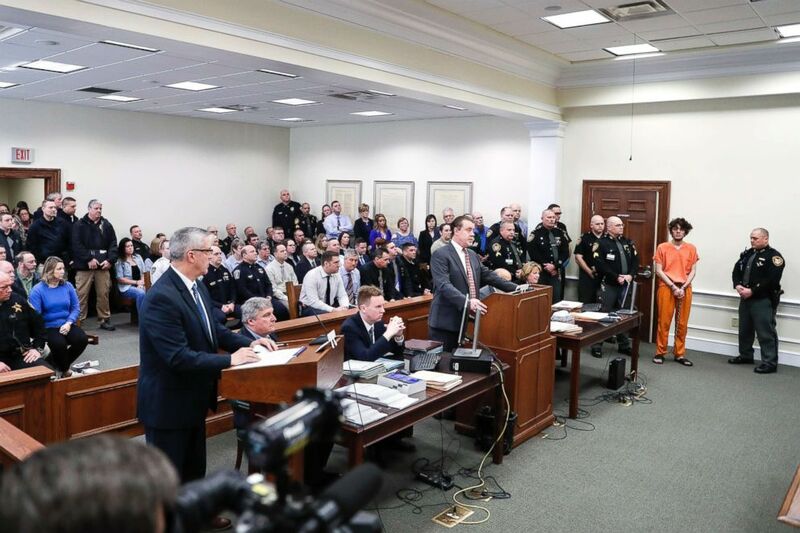 Suspect Wade Edward Winn, in orange, appears before Judge Kevin T. Miles at Clermont County Municipal Court in Batavia, Ohio, Feb. 4, 2019. Ohio Gov. Mike DeWine ordered flags of be flown at half-staff in honor of Brewer's law enforcement service. 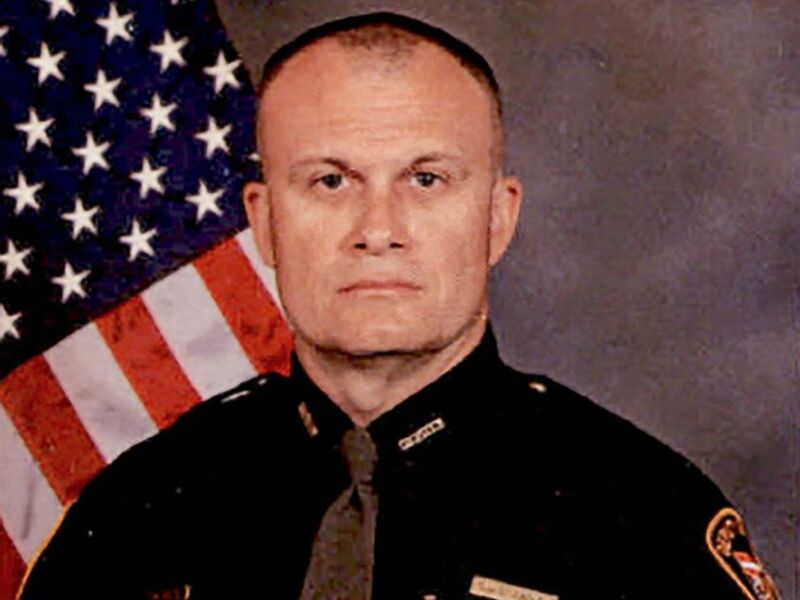 Detective Bill Brewer, a 20-year veteran of the Clermont County Sheriff's Office, died after being shot while investigating a 911 call on Feb. 2, 2019, of an allegedly suicidal man barricaded in an apartment in Pierce Township, Ohio. Ohio Attorney General Dave Yost added on Twitter. "This Officer’s valor is now recorded for all time, written in blood. We mourn, and we will remember."